Front row (L-R): Polly Burson, Evelyn Finley, Walter Reed and Ruth Terry. 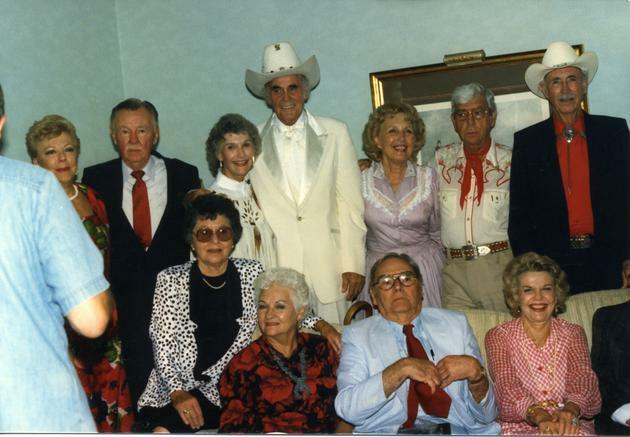 Back row (L-R): Virginia Vale, James Lydon, Peggy Stewart, Sunset Carson, Carolina Cotton, Tommy Farrell and Eddie Dean. Although she didn't appear at any Film Festivals in 1987, Carolina was greeted with open arms in a return visit to Memphis. Eddie Quillan was scheduled to appear, but had to cancel at the last minute. In his place, James Lydon was a guest. ROW 1, #s 1: Program booklet. #2: Flyer ad describing the 1988 Memphis Film Festival. #3: A cozy trio...Evelyn Finley and Carolina get hugs from Sunset Carson. ROW 2, #4: L-R: Evelyn Finley, Eddie Dean, Carolina, unknown, Sunset Carson. #5: Carolina and Evelyn with one of the vendors, at the tables. Standing is Karen Swindol. (Note the promo pics of the Yodeling Blonde Bombshell, front). #6: Frank Galindo with Miss Cotton. ROW 3, #7: Kids love the Festivals, and Carolina found a young fan. #8; The Tale of Two Edwards: Eddie Dean admires an LP by Eddie Bond. #9: The Lone Ranger and his new partner, Missy Lassiter. ROW 4, #10: Victor French. #11: Buddy Ebsen and his new companion, Jessie Lassiter. #12: Carolina and her young friend, Missy Lassiter. ROW 1, #1: Virginia Vale. #2: The ever-present Lash LaRue. #3: Projector in one of the film viewing rooms. What are they watching? ROW 2, #4: It's an Eddy Arnold film (could be Hoedown), and Carolina enjoys it! #5: The legendary Buddy Ebsen. #6: Sunset Carson and a vendor displaying an assortment of great Western videos. ROW 3, #7: With Lee Mullens. #8: The Banquet....Sunset Carson, Carolina and Tommy Farrell. #9: Carolina and Tommy at the Banquet (Note the banner of addresses...the guests were more than happy to share their mailing address with fans) . ROW 4, #10: The Yodeling Blonde Bombshell accepts an award of appreciation. #11: The 1988 Memphis Award. #12: And now it's time for a yodel! (backing band unknown). ROW 2, #4: Golden Gals of the West: Peggy Stewart, Evelyn Finley and Miss Cotton. #5: "Hi everyone...Come on into the Viewing Room and watch our Texas Panhandle!". #6: The Panel Discussion, L-R: Thomas Carr, his wife, moderator and (standing) Buddy Ebsen. ROW 3, #7:The Panel continues, L-R: Greg Barton Lois Hall Tommy Farrell. #8: Jessie Marie Lassiter. She sent most of the Memphis photos to Carolina after attending the 1988 Festival. #9: It's all smiles at this table: Carolina, and the great Buddy Ebsen. ROW 5, #13: Ted and Ruth Reinhart performing together. #14: The Film Festival hosts a variety of entertainment, including this gunman. #15: Cowboy mime? Or fancy stuntwork? ROW 6, #16: Ruth and Ted Reinhart. #17: Ted, Carolina and Ruth perform a song. #18: Ted, Carolina and Ruth...a yodel perhaps? ROW 7, #19: From another point of view: fans at the Festival. L-R: Kirk Alyn, Gail Davis, Lois Hall, Bill Whitney, Henry Wills, Carolina Cotton, House Peters Jr., George Wallace and Walter Reed. Most Film Festivals were held in the Summer months, while Carolina was on vacation from her teaching job. Luckily, she was able to arrange time off to attend this Spring event. The Guest Of Honor at this Festival was Gail Davis. Unfortunately, some entertainers were unable to attend, including Lash LaRue, John Ireland, Ben Johnson, Buck Taylor and Tom Steele (whose wife had an illness). Filling in as substitutes were Henry Wills and "mystery guest" George Wallace, who were happily greeted by fans and comrades alike. ROW 1, #s 1: Film Caravan Souvenir Program Booklet, with Honoree Gail Davis on the cover, #2: Flyer ad announcing the Festival. #3: "Welcome to the Caravan": Registration table. ROW 2, #4: L-R: One of the first encounters for Festival-goers is the vendors' tables. Here, Gail Davis and Carolina Cotton sign autographs and chat with fans. #5: Carolina autographs a photo for "Larry". #6: A photo of a photo? Ray Nielsen holds a snapshot of Grady Franklin with 2 lovely ladies from the Festival. ROW 3, #7: Carolina and Terry Swindol holding exotic flute instruments, souvenirs from one of her trips abroad. #8; A posse of three: Henry Wills, Lois Hall and Carolina Cotton. #9: A gathering in the Lobby. 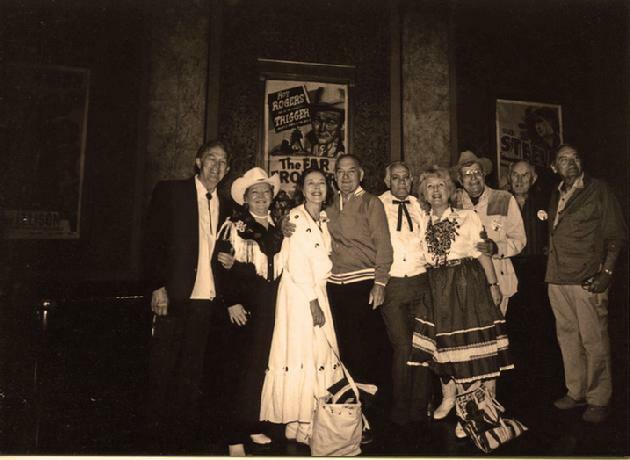 L-R: Sherry (daughter of Knoxville Festival chairman Harold Smith), House Peters Jr., Harold's wife Zulu, Harold Smith, and House's wife Lucy. ROW 4, #10: The tables are where the action is: Carolina, Gail and Harry Lauter greet the fans. #11: Sheb Wooley. #12: Miss Cotton is in good company, with (L) George Wallace, and (R) Henry Wills. ROW 5, #13: Posing with a fan, Alan Carney. #14: Johnny Russell, of Grand Ole Opry fame. #15: As a gesture of goodwill, the Mayor of Bakersfield (Clarence Medders, and wife Billie Jo) sent a gift to Mayor Victor Ashe of Knoxville. Carolina delivered the token of appreciation. (Shortly after this photo was taken, the Mayor had to catch a plane. It was nice of him to take time out for this friendly meeting). ROW 1, #s 1: Two of Gene Autry's costars: Carolina Cotton, and Gail Davis. #2: Festival Assistant Bonnie Boyd (with Memphis Film Festival) with Miss Cotton. #3: Lunch and autographs to-go: Carolina, Lois and Gail. ROW 2, #4: L-R: A friendly gathering at the Festival, with Wayne Short, Mrs and Mr House Peters Jr and the Yodeling Blonde Bombshell. #5: A full house welcomes Western film guest stars at the Panel Discussion. #6: A view from the Panel's table, L-R: Gail Davis, moderator Jim Shoenberger, Carolina Cotton, House Peters Jr.
ROW 3, #7: Lois Hall answers a fan's question, alongside Henry Wills (L) and moderator Jim Shoenberger (R). The Panel Discussions offer great, detailed insight into the celebrities and directors who made all those great B Westerns. #8; Carolina takes time out to sign a program booklet for friend Bill Sasser. #9: Time to relax--Carolina and a fan mark the spot with an X, "T P" style! ROW 4, #10: Carolina and Dale Page. #11: Movie posters are one of the great treasures found at the vending tables. And Carolina found this one, from her film "The Rough, Tough West", ca. 1952 #12: Carolina by the Jimmy Wakely clock. The hands on the clock show the time Mr. Wakely passed away. The clock was a feature at many Festivals. ROW 5, #13: Three great directors of Western films, L-R: Bill Whitney, R.G. Springsteen and Tommy Carr. #14: Mike Marx, celebrity guest coordinator of Festivals. #15: L-R: Lois Hall, Marshal Andy and Carolina Cotton. ROW 1, #s 1: It was a great honor when Gail Davis presented Carolina Cotton with an award from the Knoxville Film Caravan. #2: Miss Cotton is thrilled to accept the plaque from her old friend and comrade Gail. #3: Carolina truly appreciates this honor, sincerely thanking everyone who made it possible. ROW 2, #4: L-R: The award from the 1989 Knoxville Film Caravan. 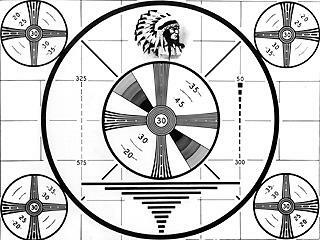 #5: The Awards ceremony and guest stars. #6: A closer look at some of the honorees at the ceremony. ROW 3, #7: Kids love the Western Film Festivals!. #8; Carolina entertaining the audience up-close and personal. #9: "I Love To Yodel"--with the band. ROW 4, #10: The Yodeling Blonde Bombshell gets some help from a friend, Marshal Andy. #11: Carolina singing "Lovesick Blues" in the lap of Wayne Short, Charlotte Festival chairman. #12: "Anyone want to join in and yodel? ROW 5, #13: "Okay, all together: Yo-De-Lay-De-A-De-A-De-A-De-Tee...!". #14: House Peters Jr. , Kirk Alyn, George Wallace and Walter Reed.